The Union is a bundle of conflicts of interest; for example it is paid by the Nevada County Economic Resources Council to promote tourism (at the same time it is supposed to objectively cover the ERC on its news pages). Here’s another conflict: cannabis. 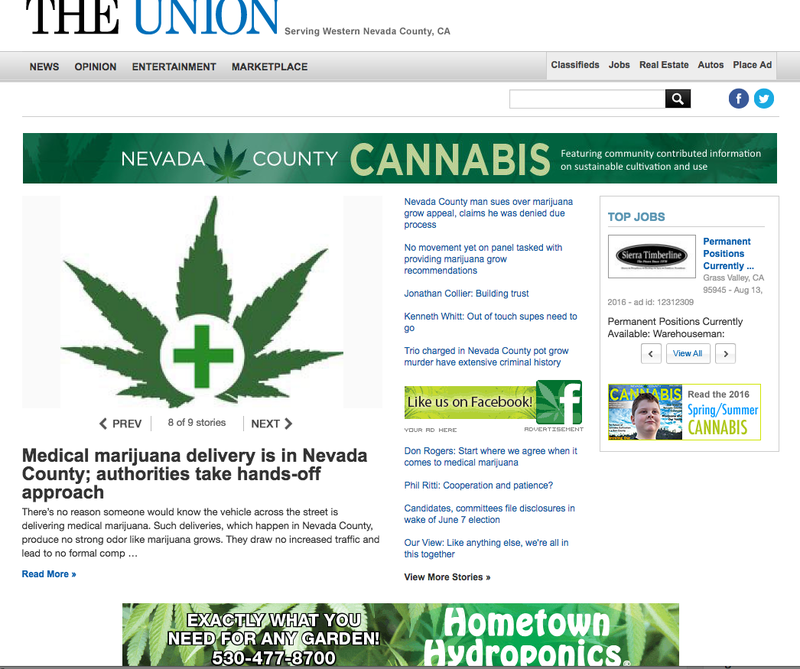 The Union has a website called www.theunion.com/cannabis that generates ad revenue from cannabis-related businesses at the same time it is supposed to be objectively covering marijuana use and cultivation in our community. Interesting line of thought, Jeff. Very provocative. The Union also accepts money to run legal notices and is expected to report, in an unbiased fashion, about the County. I can see where conflict of interest could run amok…. A finger in every pie! And “sponsored” content too. “The Union will require compensation in a fixed amount (of $26.5K and $2,900 per month) …” it wrote to the ERC in a proposal. Then it wrote “The Union newspaper has no conflicts of interest.” Huh? Of course it does. It is supposed to objectively cover the ERC, among others. Previous Previous post: Dorsey Drive Interchange: Our new $20 million route to school this morning!